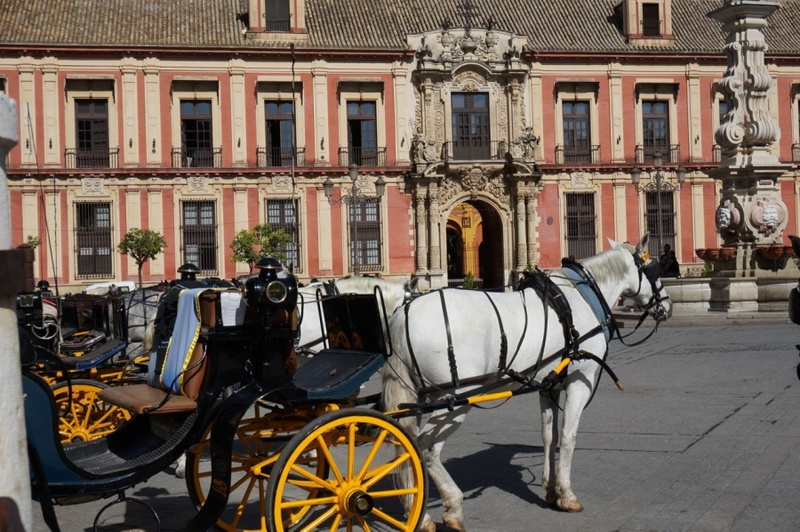 We landed this morning in Cadiz, the oldest city in Europe, then took a 90 minute bus ride to Seville, the fourth largest city in Spain. 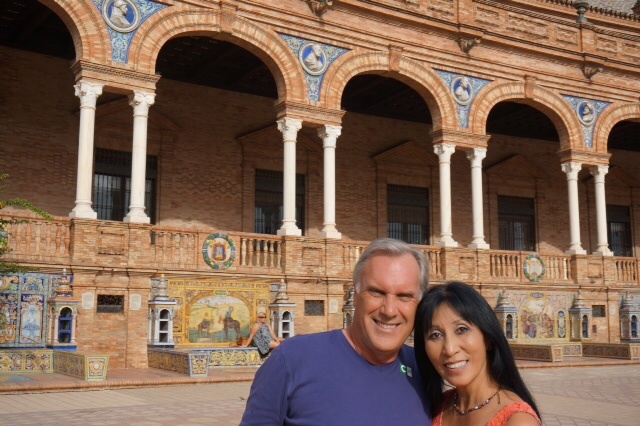 Within 30 seconds of seeing the town, our friend Donna said “oh, I could live here!” What a spectacular city this is…so clean, beautiful, charming, colorful, fabulous architecture, and such a richness to the land…so different from yesterday. There are more palm trees here than people, with their biggest products being olives, oranges, wine. This city was first built by the Phoenicians, who originally came from Lebanon! and then it was conquered by so many others…the French, the Spaniards, the Moors, the Arabs, I couldn’t keep up with all the who’s and when’s…but the influence on the architecture is certainly here. The wall to the King’s palace, Pedro the first, is seven layers thick….every time someone conquered, they just added a different layer to the wall. 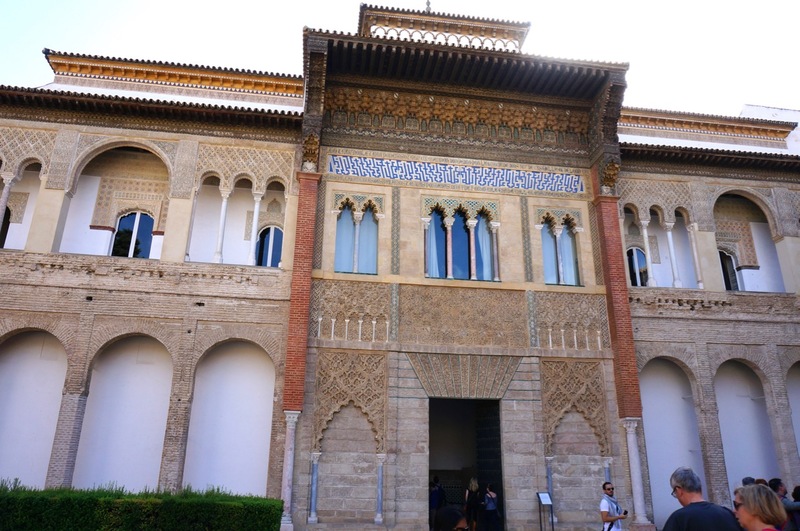 Much of the palace is Arabian style, which the Spanish really liked, so they kept much of it that way, and added the Christian influence to the Arabian tiles and archways. It’s quite beautiful. 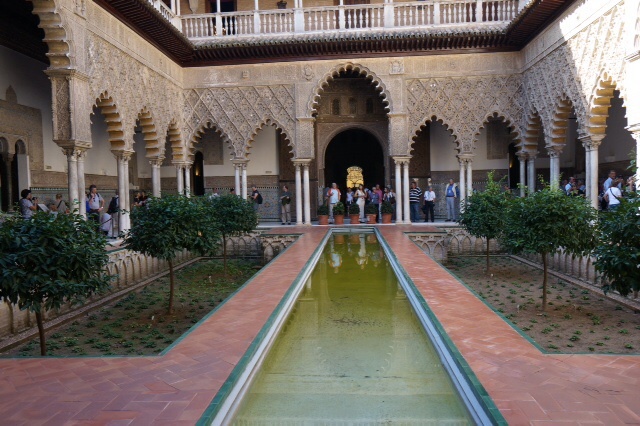 The rooms are all separated by beautiful arches and no doors. 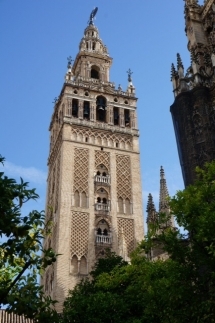 This beautiful church was first a market place, then was a mosque, and eventually it was converted by the Catholics to the beautiful Seville Cathedral. The bottom of the bell tower is Arabian, but the Catholics added the bell tower later which chimes beautifully throughout the city. 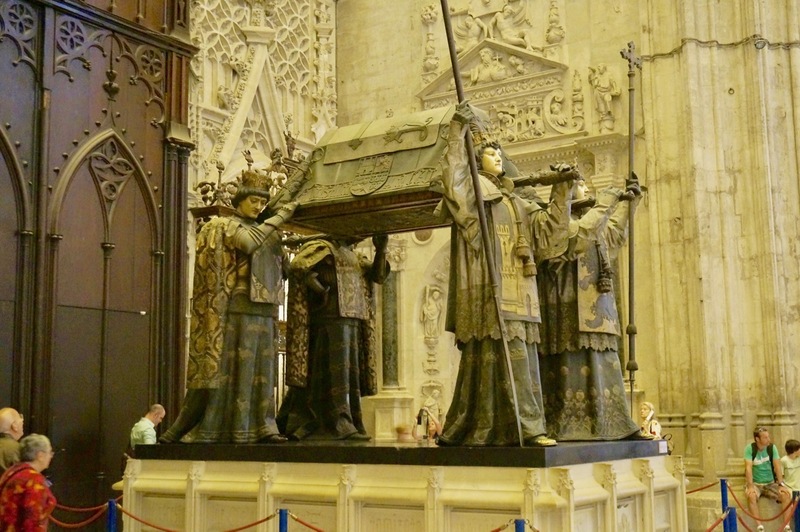 Inside the church is the burial memorial for Christopher Columbus. It’s the first time I’ve seen elevated burial remains suspended mid air. He is held up above by four kings. Take a look at the real people down below to get an idea of the scale of this beautiful masterpiece. 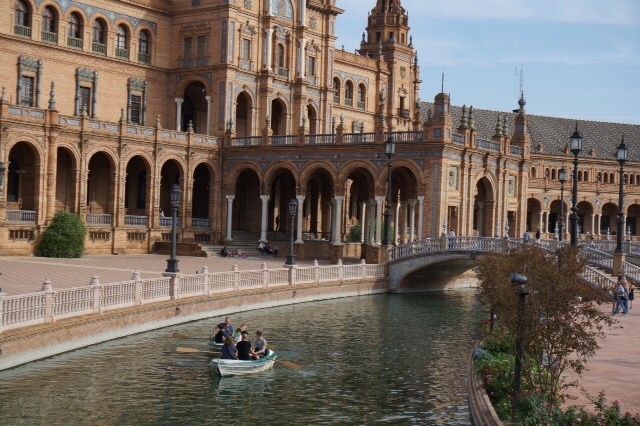 This last monument was built for the Spain world expo in 1929 and has been featured inTom Cruise’s Knight and Day as well as 125 other movies. With its mosaic tile work, beautiful carvings, and grand archways, it is just magnificent and so huge!! This is definitely a place to come back and spend more time. We really enjoyed this beautiful city.